I design many things from CNC cantilevers and fork crowns to full frames. May preferred tools are Auto CAD Inventor for CNC and Rattle cad for bike frames. 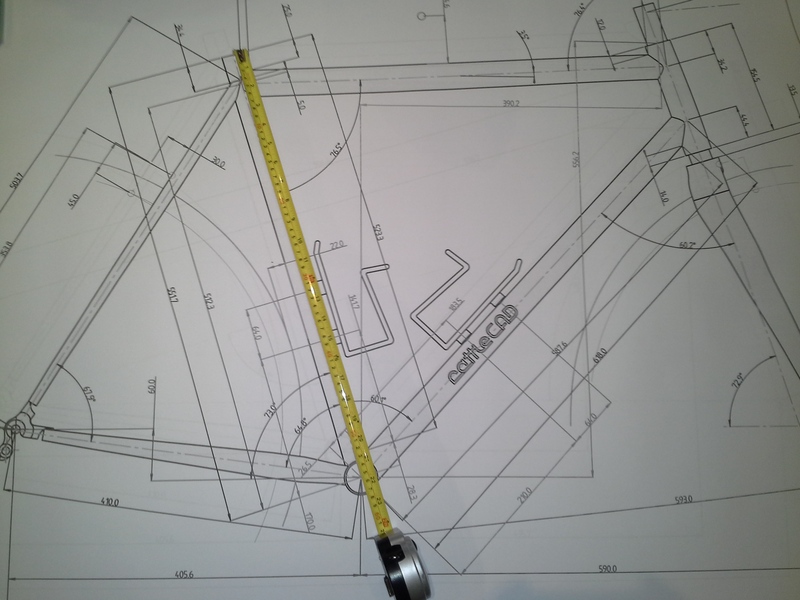 Rattle Cad is great free software packages design by Manfred Rossberg which allows you to design the bike frame (Road or MTB) then print at full size. You will also need Ghost Script and FoxIT reader to print to PDF. 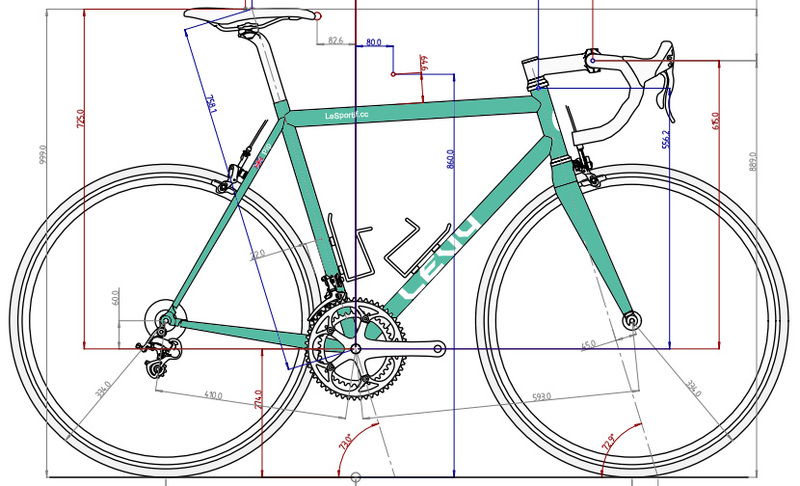 Here is my latest frame design for a custom build for Le Sportif.